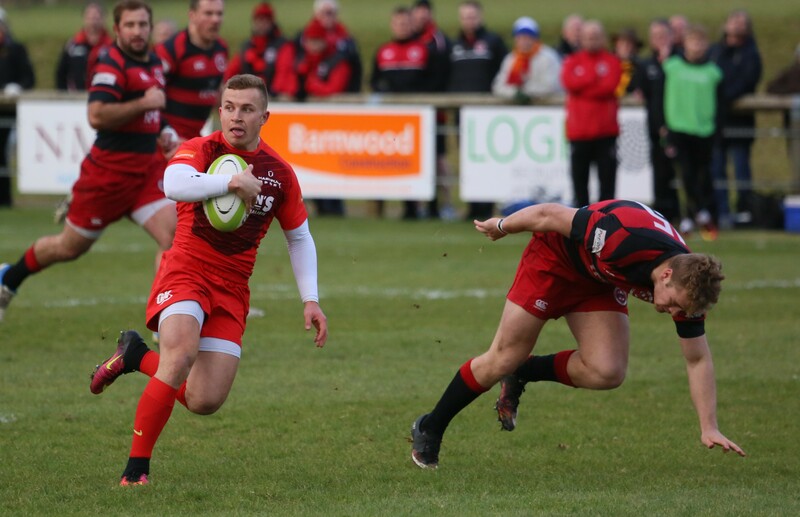 With three games of the season remaining, Hartpury RFC face another big challenge when they visit Birmingham Moseley, for the first time ever, on Saturday (3pm). The game comes after a memorable week for the Gloucestershire outfit, in which yet another National One victory, against an equally attack-minded Loughborough Students, was preceded by that triumphant night at Twickenham in which the university squad collected the BUCS Super Rugby Championship trophy. The first encounter with Moseley, back in December, produced a decisive 64-5 home victory (pictured, Ben Vellacott in that game) but there are no thoughts that Saturday, against a side still sitting high in the table, will be anything other than a tough test. Selection, as as is normal, will be made late in the week, although the unavailability of certain players due to A-League and international commitments does mean that choices in some positions will be less contentious than usual.